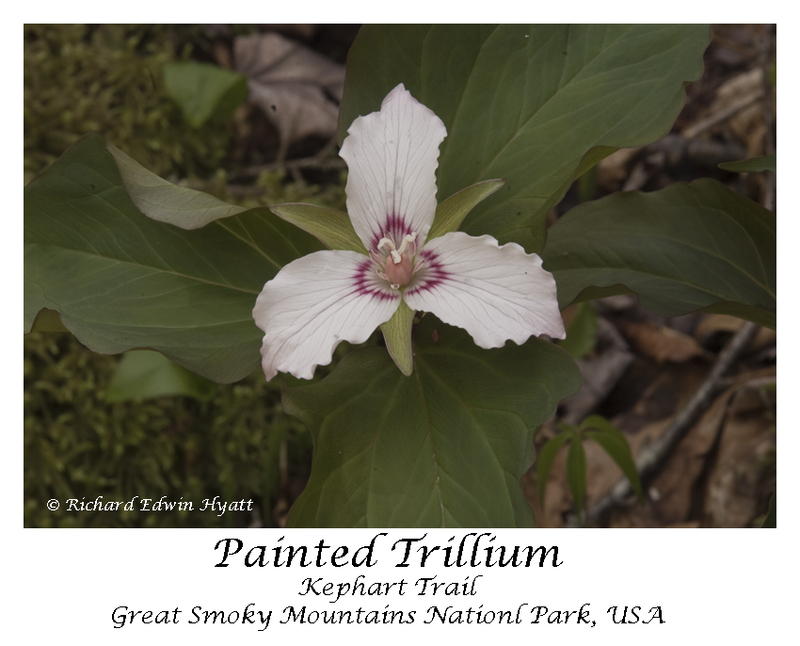 The Painted Trillium is one of the favorites found in the Great Smoky Mountains National Park and other parts of the the Southern Appalachian Mountains. At the moment the Kephart Trail is closed due to the reconstruction of US 441 where a landslide fell last winter. It should be open again May 15, 2013. Before then the highway is open on the NC side up to Collins Creek Picnic Area. There are many trillium wildflowers that bloom in April and May near the picnic area. Maybe even a Painted Trillium.